Team Lea’s Emil Sinagpulo and Mic Llave sing “More Than Words” in their Battle Rounds of The Voice of the Philippines Season 2 on December 14, 2014. Lea had expressed her excitement when Emil Sinagpulo joined her team after singing ‘Who You Are’. Lea said that it is important that the heart will be expressed from the beginning of the song and when she felt it through his performance, she eventually pressed her red button. The 25 year old artist is a public health nurse dedicated to support his family. Mic Llave is a 27 year old artist who made lea happy with his very own version of ‘Panalangin’. The other coaches expressed how he had performed the piece but Lea was still glad that only she turned a chair. Llave was a part of a band and plans to stay in the music industry with the help of The Voice. The Battles Round Result: Sinagpulo met Llave and he was not surprised. The artists liked the chosen song. Lea asked them to talk together about their harmony. Lea said that their harmonies are tight and they have the same level. 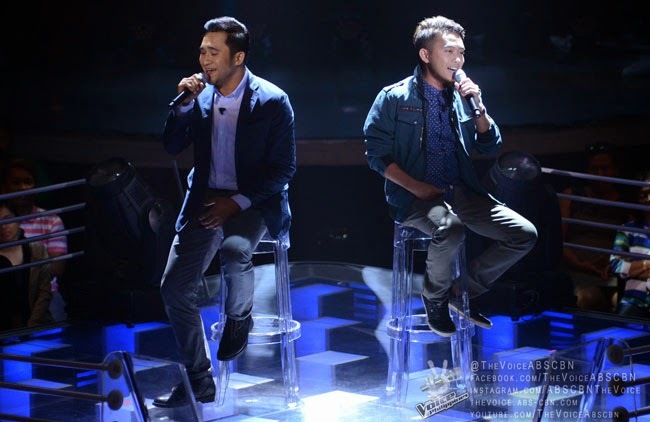 Team Lea’s Emil Sinagpulo and Mic Llave had sang the classic love song, “More Than Words”. Sarah said that Sinagpulo had stood out. Bamboo said that Llave was effortless, Apl said that Llave was better but the whole performance was smooth and relaxing. Lea said she had a hard time choosing but decided to make Llave stay.